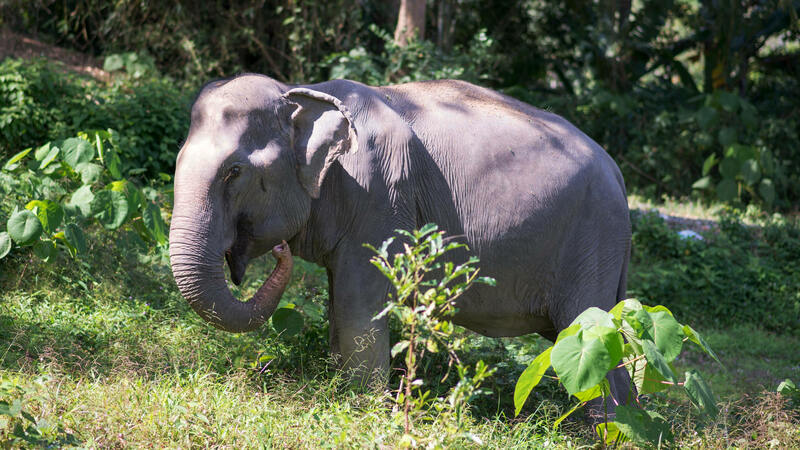 Despite her loss of sight, Gaew Ta is able to walk around the sanctuary with the help of her loving mahout, who is her eyes and guides her around the sanctuary safely using his voice. 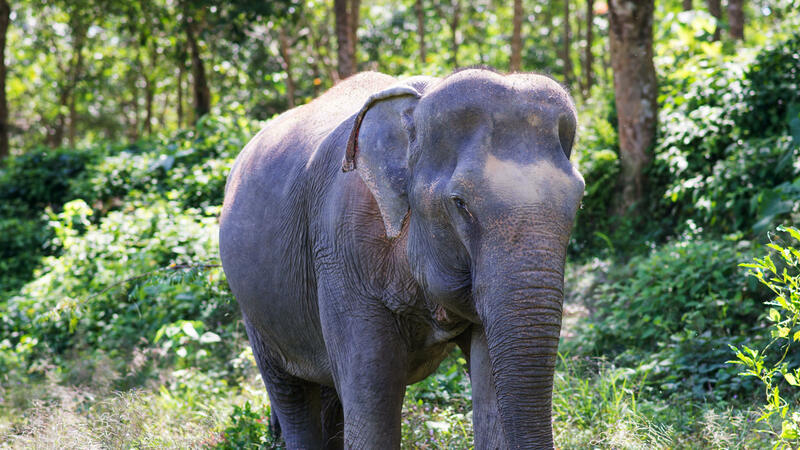 You will often see her tap and touch the ground before taking a step to ensure it is safe. 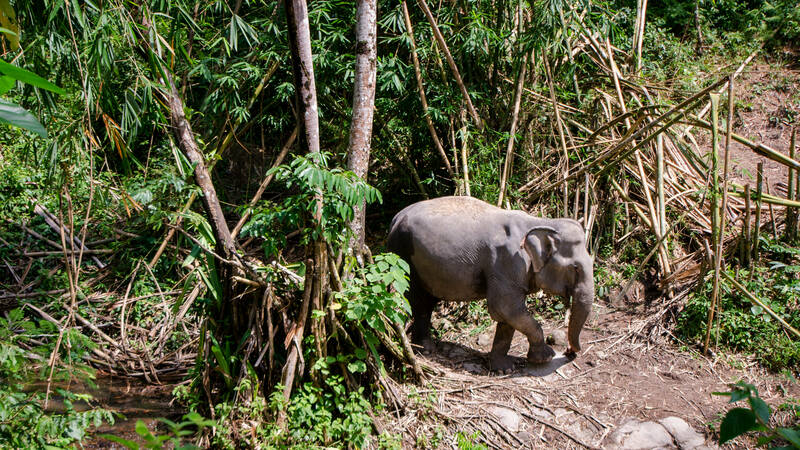 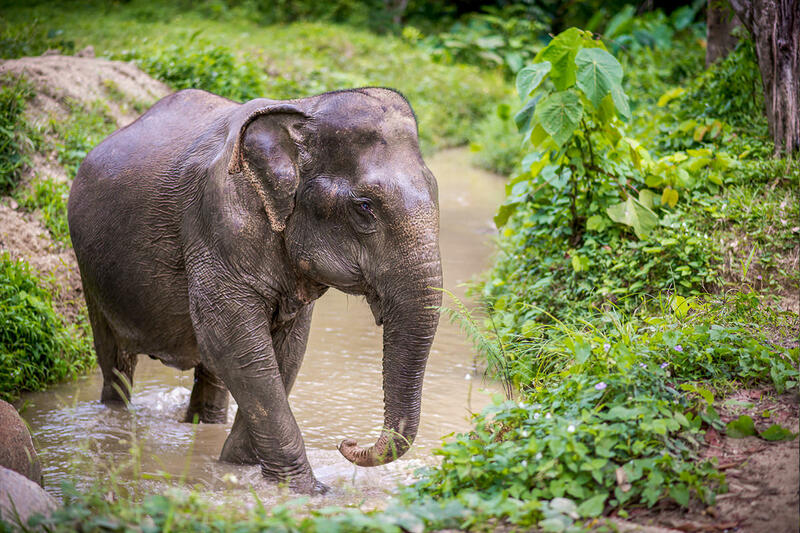 Gaew Ta moved to the sanctuary on December 8, 2016, when she was released from the heavy work of elephant riding for tourists. 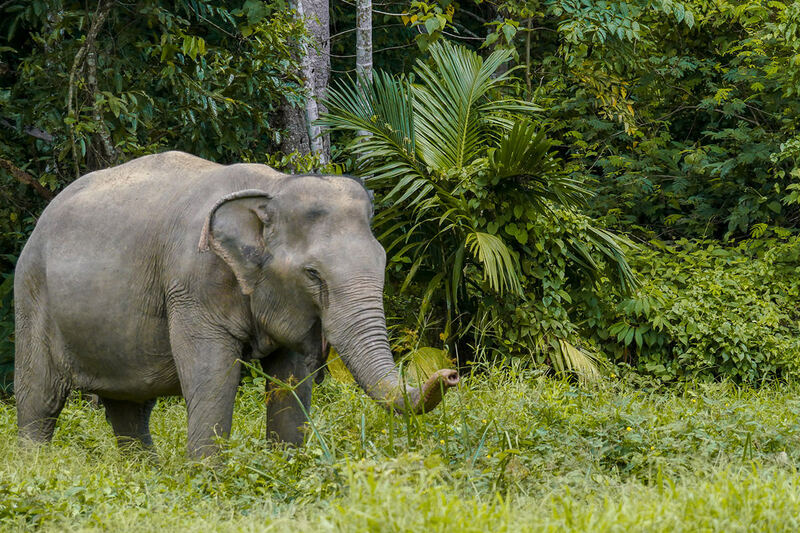 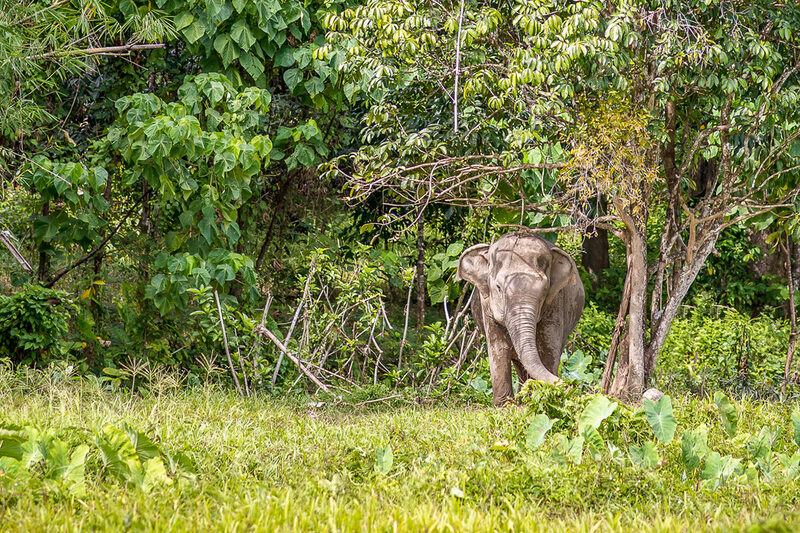 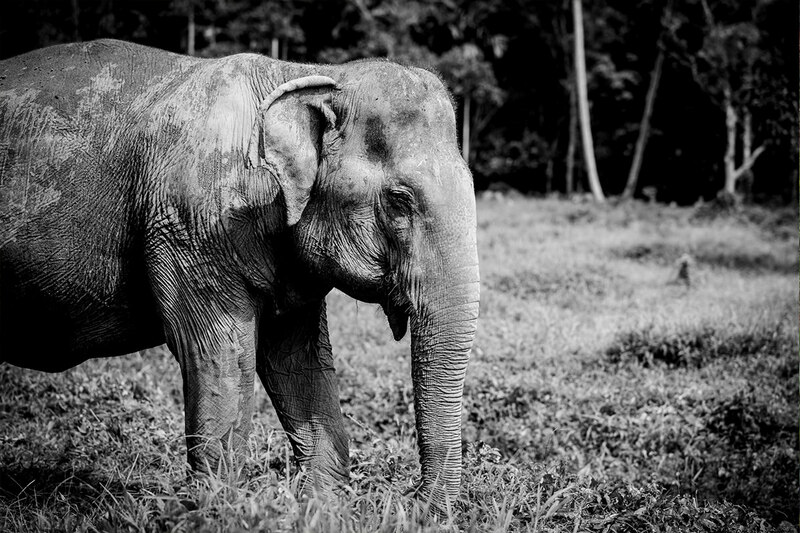 Previously, she worked even harder as an elephant in the logging industry in the Nakhon Si Thammarat province in Southern Thailand. 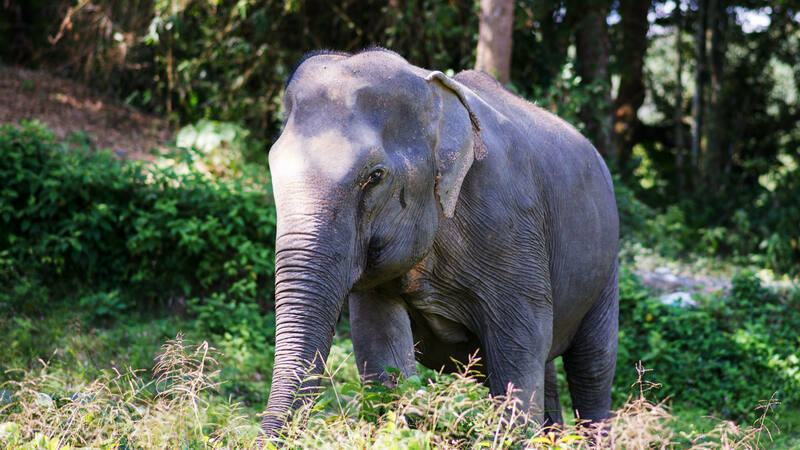 As soon as she arrived, we started treating her eye injury symptoms, hoping that one day she would be able to see again. 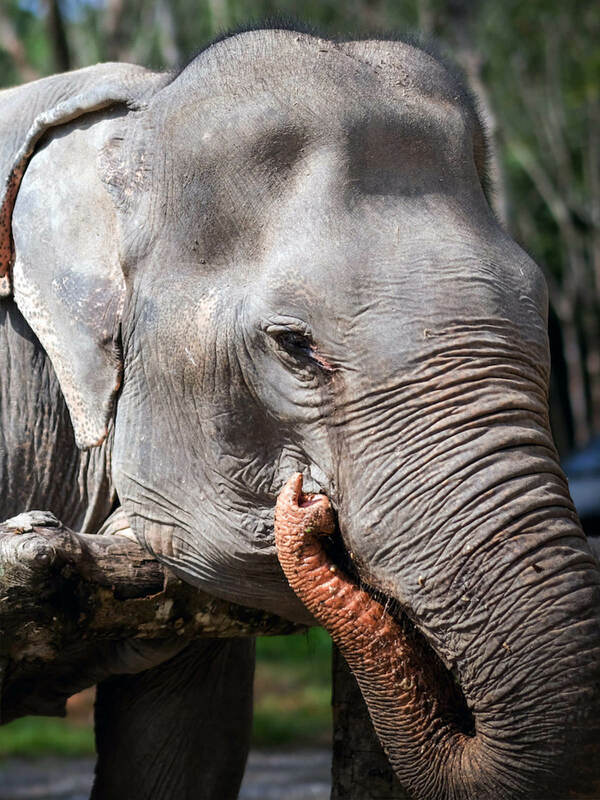 However, on February 14, 2017, Dr. Rui Oliveira, the world renowned vet ophthalmologist came to check Gaew Ta at the sanctuary, and shared the bad news that her sight would not return due to the seriousness of her eye infection. 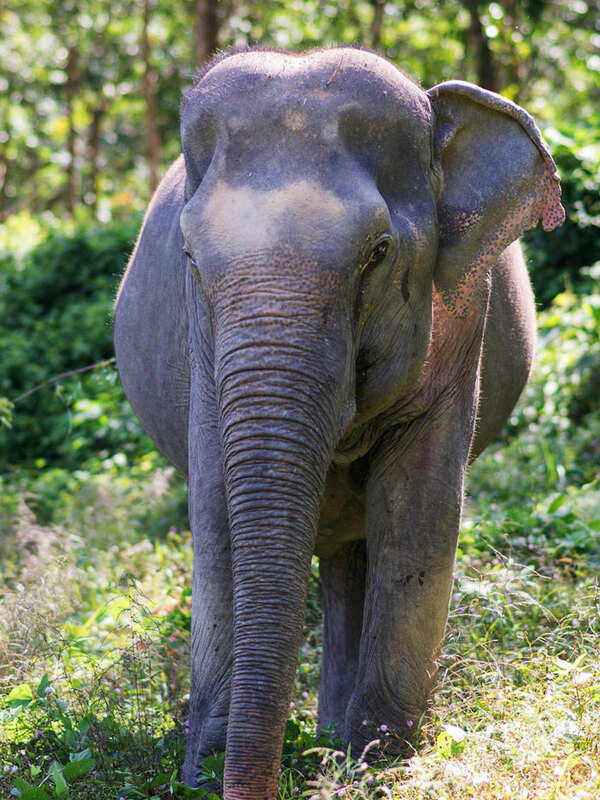 We also found a deep hole in her forehead, which would have resulted from previous mahouts using a hook to control her. 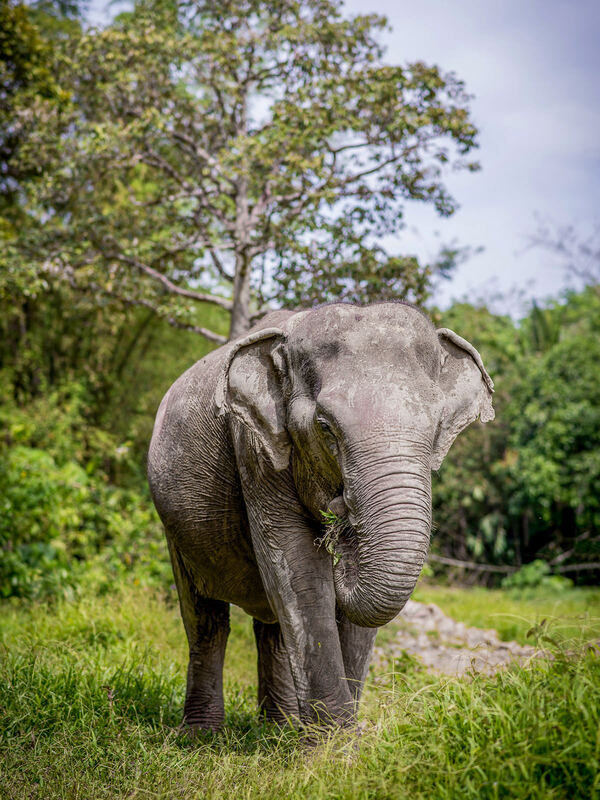 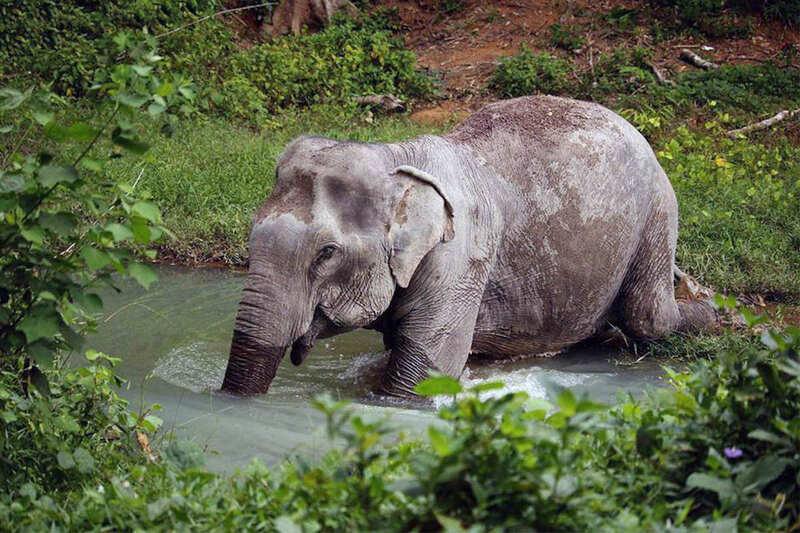 Despite her dark past and condition, Gaew Ta is making the most of her new life at Phuket Elephant Sanctuary where she can feel safe. 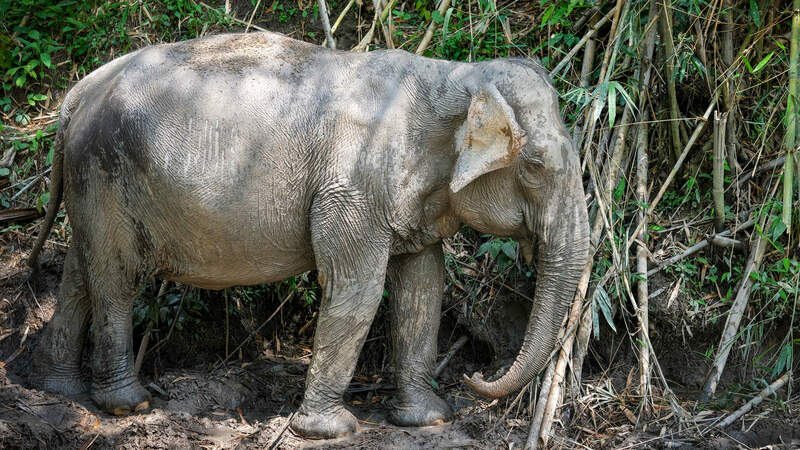 With great love and care, both physical and mental, our team is helping to relieve Gaew Ta’s pain and to offer her a simple and peaceful life in nature, as it should be.